Home Technology Made in Australia No More? Made in Australia No More? The iconic Made in Australia symbol has been widely recognized by the Australia public and has just turned 25. Over 1750 firms and manufacturers have promoted the green and gold logo on their products for so many years. Overtime, competition has increased mainly due to foreign companies duping their products as Australian made. 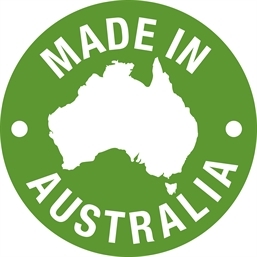 There has even been confusion with various terms of labeling such as Australian owned, Australian made and Australian grown. Ingrid Just, Choice spokesperson stated that consumers were “interested in where their produce comes from and where it’s manufactured.” Consumers purchasing an Australian made product, gives support and investment back to their own local community. However, it has been questioned how effective the iconic brand has been in protecting the domestic market and employment in Australia. Previously Australian owned companies such as Arnott’s and Bonds have moved their industries to the foreign market. This is mainly due to the cheaper resources available as well as the low costs of employment. Globalisation has also allowed more consumers to purchase goods from overseas. It is claimed that international companies are seeking to enter the Australian market to establish a well-known brand. Regardless, the Made in Australia symbol will always remain part of Australian pride.